Alex and Sam have been together for 5 years, they met in October 2013 through the Etsy website when Sam asked Alex to knit him an offensive jumper. Sam is a firefighter from Devon and Alex is an ex-model from London. Alex’s nickname for Sam is ‘Torbay Tourist Board’ because he loves where he lives so much! He convinced Alex to move there and be with him about three months after they met because as she puts it ‘he had gotten me pregnant!’. It was a happy surprise. And she admits it is nice living by the sea. 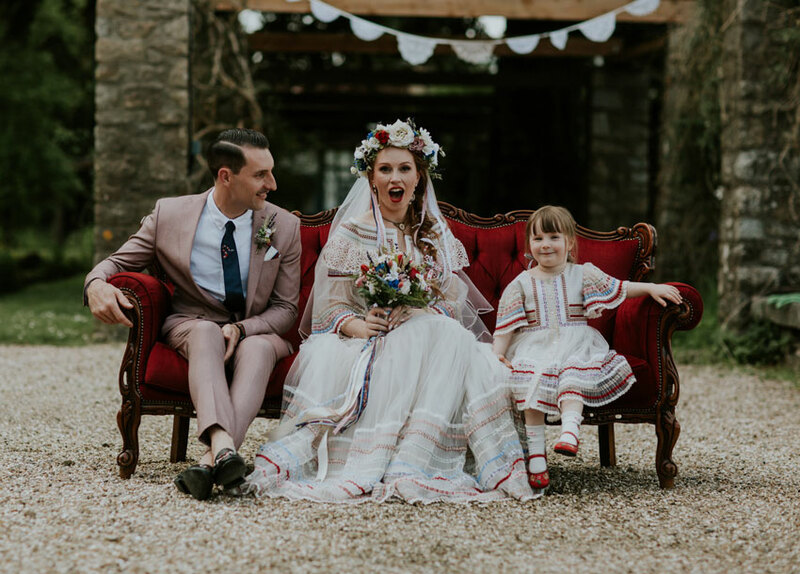 We asked them all about their incredible wedding day and their patchworked familymoon. Sam proposed while we were on holiday together in Amsterdam, it was a little bit of a disaster in that he ordered the ring to our house and I was the one who signed for it so I knew he was going to do it at some point. It was still romantic though. Our wedding was pretty mental actually, I planned it all myself. 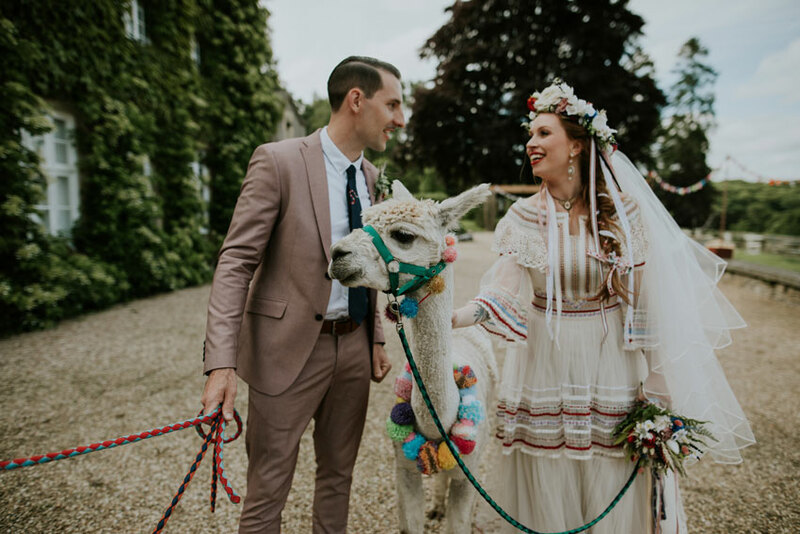 The ceremony had a kind of a folk/Bavarian theme on Dartmoor with alpacas and the reception was Cabaret themed with burlesque entertainment. 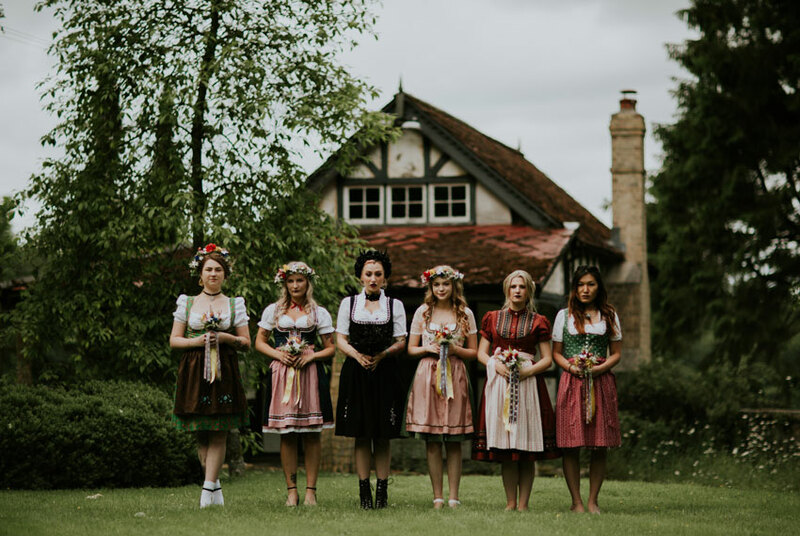 All of the bridesmaids wore dirndls and my dress was Polish/Hungarian inspired but made in Austria. Sam wore a pink suit and Gucci shoes! We made everyone do a circle pit to 99 Red Balloons (the German version). 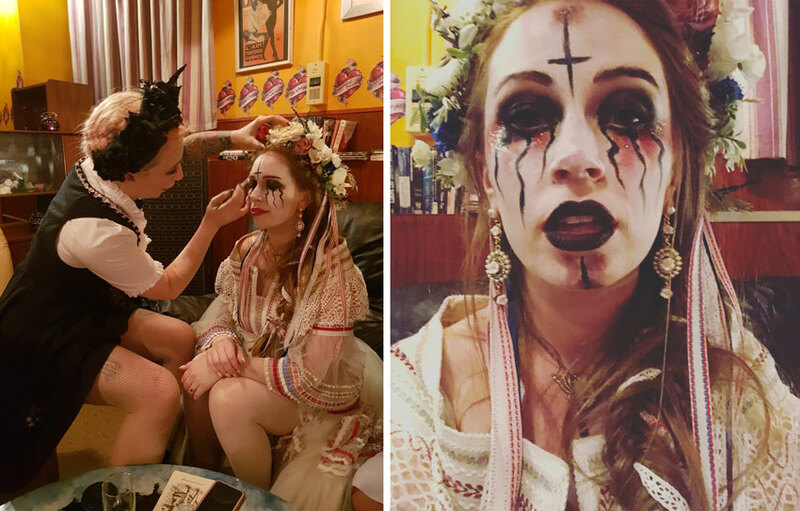 Getting painted up in death metal face paint at the after party and seeing all of our awesome acts perform. What made Patchwork the best gift list for you? Well we didn’t want a gift list because we already have everything we need and Patchwork seemed a bit more fun than just asking everyone for money. I liked that we could customise our page and make it ‘us’. 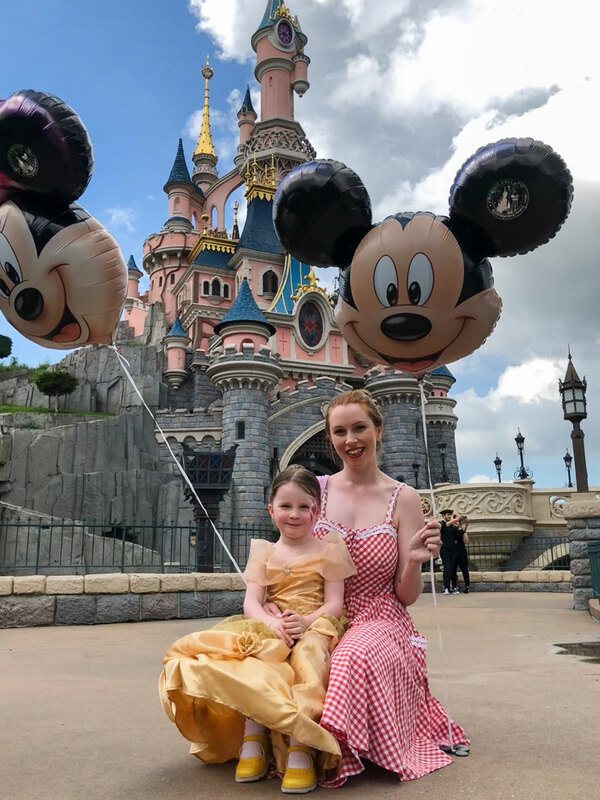 We funded a ‘familymoon’ to Disneyland Paris for ourselves and our daughter. 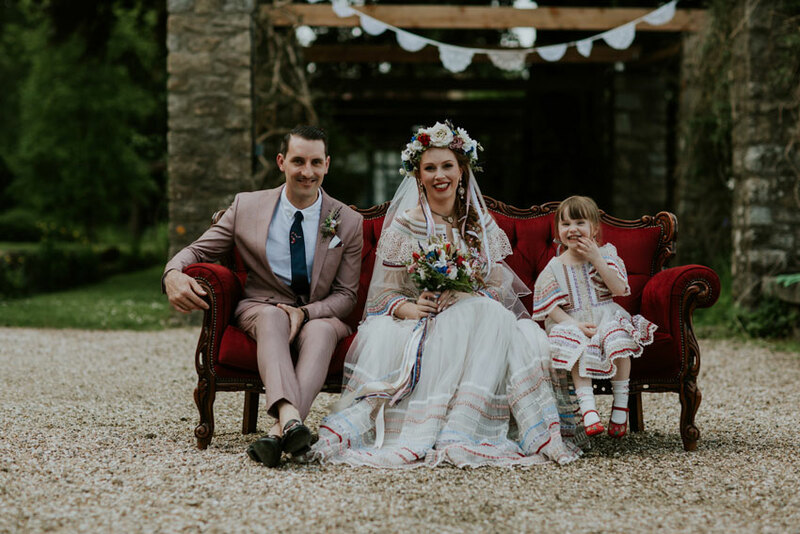 It was really important to us that our daughter was totally involved in the wedding and had good experience and that included the honeymoon. It felt good knowing that we had stuff planned to do that friends and family had paid for. 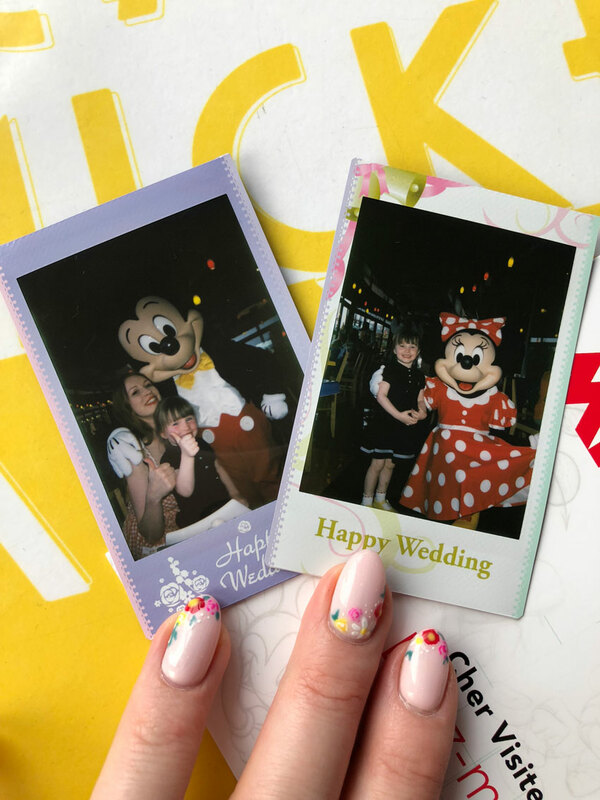 We made sure to take photos of ourselves doing those things and when we got back we sent a little thank you card with the photos of us doing their chosen activity. 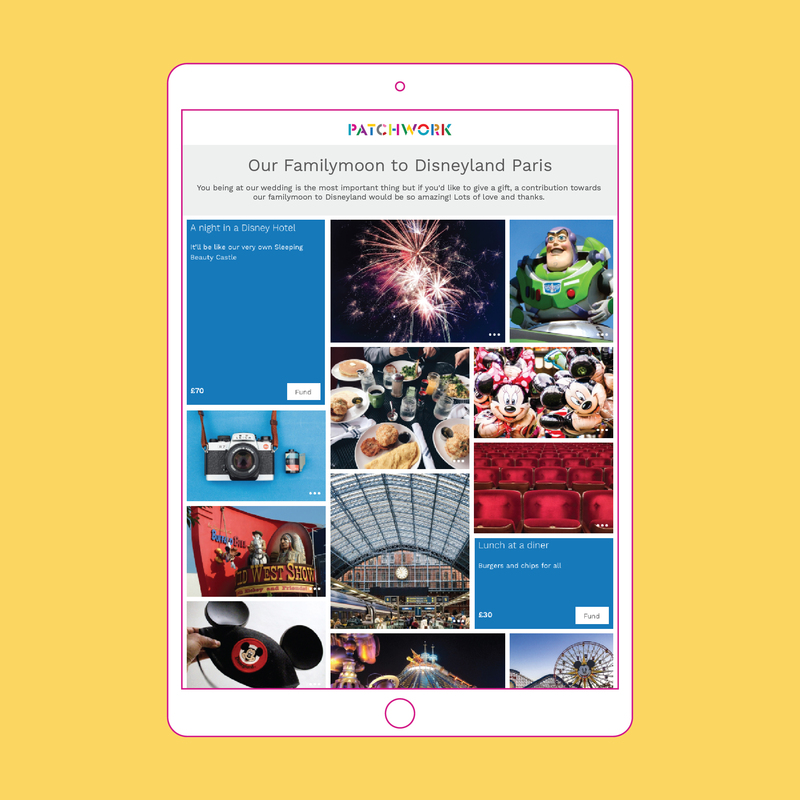 Patchwork was really easy to use and everyone commented on how good the website looked – they thought it was really nice to be able to choose activities for us. 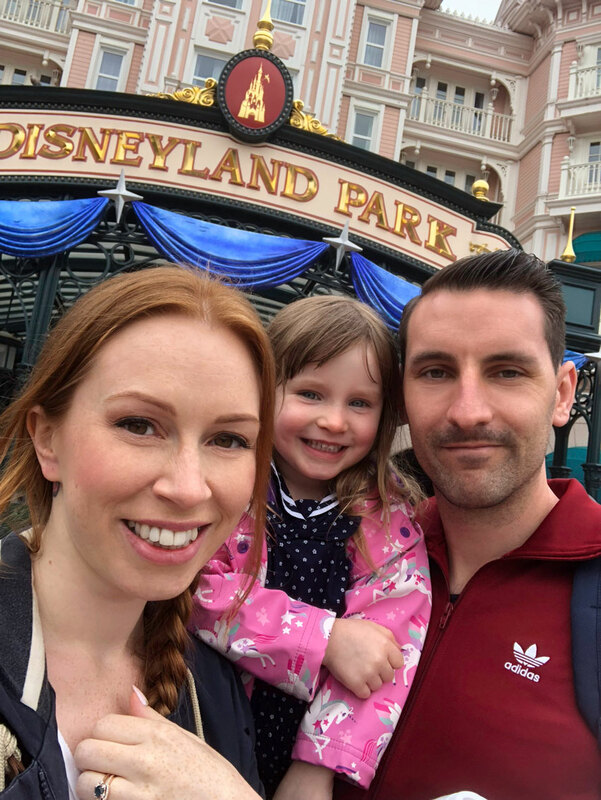 Yeah Disneyland was awesome, probably not the most relaxing trip for us but our daughter loved it and had a great time. 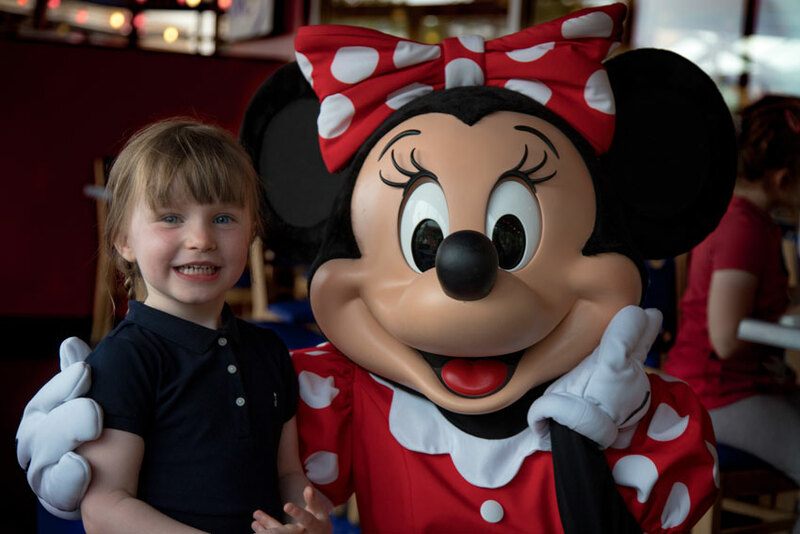 We met all the Disney characters and she even went on the Pirates of the Caribbean ride, which surprised me! 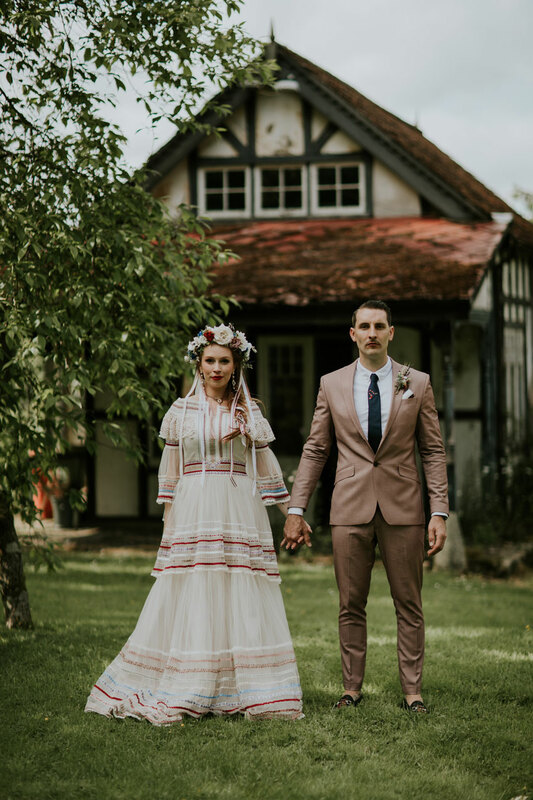 Thank you so much Alex & Sam for sharing your patchwork story and incredible photos! And a big congratulations from Team Patchwork. 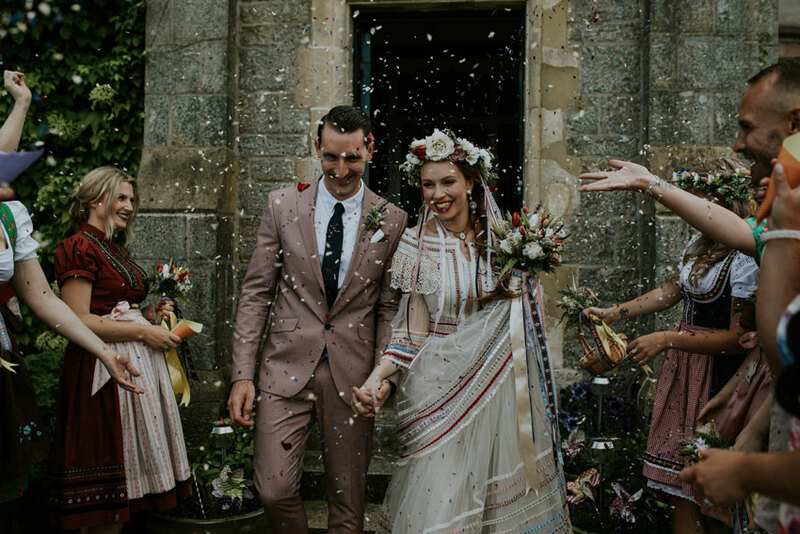 P.s Listen to Alex & Sam’s first dance song in our Spotify playlist, made up of lots of our Patchwork Couple’s first dances.